"Part love story, part thriller, it's hard to resist turning the pages." -- Belfast Telegraph. On a summer night in 1963, a young American soldier, Lieutenant Marc Gaines, walks into the London bistro where a sweet and shy eighteen-year-old English girl, Marian Barnard, is a waitress.Like the song 'Strangers In The Night', it is love at first sight for both of them. In Massachusetts, Marc's French mother, Jacqueline Castineau, rich and beautiful, is still obsessed by her years as a young unit commander in the French Resistance against the Nazis, which turned her into a merciless killer. Now Jacqueline has only one love in her life, and it is not her husband whom she views with indifference, but her son Marc, whom she is not willing to lose to some two-bit English waitress. 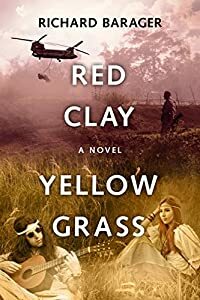 A beautiful and tremendous love story clouded by the flashbacks and consequences of a World War now past, and foreshadowed by the Vietnam War about to start. 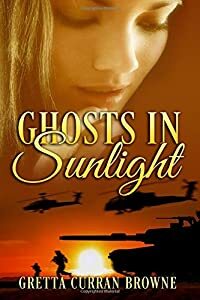 PRESS REVIEWS for "GHOSTS IN SUNLIGHT"
A battleground and a rock festival... love and war in the age of aquarius. 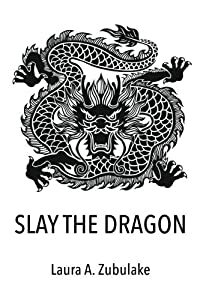 Slay the Dragon is a gripping and provocative political suspense novel. With a constant thread of intrigue, the story explores how political corruption feeds into social ills and how leaders exploit these conflicts to cling to power. Artfully using fiction, the author exposes readers to the complexity of the opioid crisis and its impact on society. The characters are deep and well-developed. The setting is described like a painting, inviting the reader into the lush Latin American environment. The protagonist César Rosada is determined to effect social change for the working class of his country, and right decades of corruption, crime, drugs, and misguided economic policies. He anticipates resistance from those with power and vested interests, but finds himself confronted with a new challenge--America's opioid crisis. César's dreams for his people become entangled in the secrets and conspiracies of those around him. He is conflicted, and ultimately pursues a course of action that for some is morally ambiguous but keeps readers wondering if it is possible to slay the dragon? 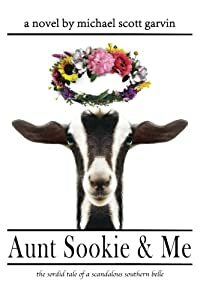 Publishers Weekly - "Aunt Sookie & Me is a heady and hilarious mixture of hard-won wisdom and Southern saltiness.....the tale deals with some weighty issues including sexual identity and domestic violence, but Garvin's compassion and light touch make this a highly entertaining and enjoyable novel." Michael Scott Garvin tells the story of a 13-year-old orphan sent to live with her forthright great-aunt. When Poppy Wainwright's grandmother dies, she travels from her home in Arkansas to live with her grandmother's older sister, Sookie, in Savannah, Georgia. "Your Grandma Lainey was a self-righteous nit-wit," Sookie tells Poppy upon their first meeting, "and if I had the gumption, I'd drive myself up to Mountain Home and spit on her freshly dug grave." Sookie is everything Poppy's grandmother was not: atheistic, slovenly, suspicious, prone to vendettas, and completely lacking any verbal filter. Yet there's much that this foulmouthed, long-lived woman has to teach young Poppy about the world and how to be a woman in it. ..."There is no surer way to feel blessed in this life than to delve into a story with complicated, flawed, flailing characters. Aunt Sookie & Me by Michael Scott Garvin is just such a tale...Drawn so well, the characters...did not evoke singular reactions from me. Rather each made me feel a complicated array of emotions...From time to time I pickup a work that keeps me turning pages...This is such a great read!" - 5 Star! Young Poppy Wainwright feels much like a deck of cards, shuffled around from a boozing mother to a beloved grandmother. Finally bused to Savannah, Georgia, to live with her grandmother's cantankerous sister, Sookie. Through the enlightened eyes of a thirteen-year-old girl, the hilarity and insanity ensues. From the best-selling author of A Faithful Son, this rollicking romp of a ride does not disappoint. Aunt Sookie & Me: The Sordid Tale of a Scandalous Southern Belle is irreverent, hilarious, and heartbreaking. All political correctness is buried alongside the dead corpse in the family vegetable garden in this riotous book. But don't let the folksy and fresh recipe fool you, Garvin serves up a big helping of reality, cutting through small-town bigotry and bias. 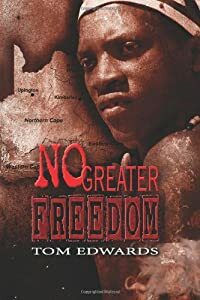 The setting for No Greater Freedom encompasses South Africa and those East African countries as far up as Kenya. Some of the action takes place in the Comores and the Maldive Islands and parts of Asia. Police investigations are initiated after the discovery that weapons are being stockpiled in various townships in and around Natal. It is suspected that moves are afoot in the Zulu nation to separate from the Republic and create a separate homeland. The savage killing of a police investigator in the Cape Town dock area throws suspicion on an ancient tramping passenger ship, the SS Galatea. 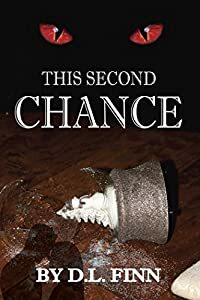 Steve Konig, a detective inspector, joins the ship hoping to find evidence that would prove that the ship was being used to deliver the weapons from somewhere further north. Unknown to Steve, another detective, Francis Mackenzie, a very black African, has initiated his own investigation into a poaching racket operating in the game reserve near the Serengeti Plain to the south of Kenya - the two investigations are destined to merge. The story involves Pat Ellis, a minister in the government department of Internal Security, who operates a wide network of corruption. A man with appalling sexual appetites who terrorises his female servants; his beautiful secretary, Julie, who in all innocence becomes involved in his evil plans, and Jake and his crew on the yacht Arcturus who smuggle drugs from Malaysia and Columbia and deliver them to Pat's network operating in the African townships. It involves the crew of the yacht Epicure, Eric, Jason, Beppy and Jane who are lured on board Arcturus, where the men are murdered and the women raped and abused in the foulest manner; and of Jane, who escapes and exacts her vengeance. This is a story in which a beautiful woman gives her life to save the man she loves. It is a story of Zulu aspirations; corruption in high places; cruelty and perversion. It reaches into the depths of depravity and soars into the heights of love and sacrifice. It is a story of Africa. Tom Edwards was born in Hampshire, England, where he spent his early years. After completing his education he served for six years in the Fleet Air Arm branch of the Royal Navy. Leaving the service he made his living for several years as an artist before moving to Southern Africa, where he worked as a free-lance news reporter for various newspapers and then as an engineer on various mines in South Africa, Zambia and Namibia, finally settling in what was then Rhodesia. 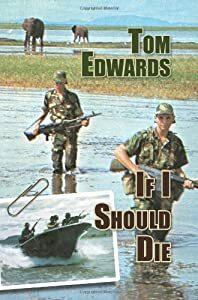 During the Rhodesian conflict he joined the reserve branch of the security forces where he served on border patrol and in the Marine Division. It was there that he acquired much of the material for his first book 'If I Should Die'. The war being lost, depending on which side you were on, he and a friend bought a thirty-foot boat in England and sailed around the world for four years; a trip bedevilled by pirates and hurricanes. They were finally shipwrecked off the coast of New Zealand and had to work there for a year to repair the boat. They carried on to Australia where Tom's partner left him to return home. Tom continued on his own to South Africa and eventually back to Australia where he became an Australian citizen. His latest adventure was to walk from John O'Groats, in the north of Scotland to Land's End in the south of England, a distance of 1440km, which took him forty-six days to complete. Tom has now retired to Lake Macquarie where he enjoys writing, painting and walking. His first two books, "If I Should Die" and "No Greater Freedom" were written under the pseudonym of Tom Hampshire in the hope of preserving his anonymity, however at the insistence of his family his later books, including a factual account of his circumnavigation in a thirty foot boat were under his correct name. "When the Dragon Roars is an absolutely riveting read, full ofsurprising twists and turns and brilliant writing. The chapters areshort; the dialogue realistic; the characters believable and the plotgripping." "With tight, crisp prose and realistic dialogue, the author keepsthe pace of his tome moving at highway speed. His characters are finelyetched both physically and emotionally. Clerge knows the story he wantsto tell, and he tells it in a way that is both involving andentertaining." 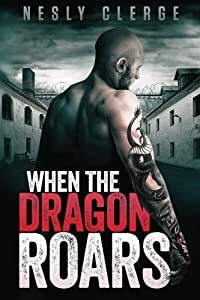 "Brimming with twists, turns, and non-stop drama, When The DragonRoars by Nesly Clerge is a thriller ideal for any fan of prison-noir." 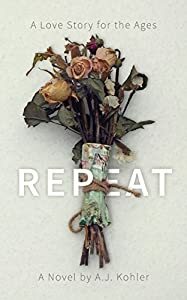 Secrets and lies force their way to the surface in Nesly Clerge'snewest novel of deception, crime, and buried history. 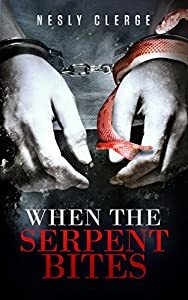 Frederick Starksthought he'd already lost as much as one man could: A beautiful family,the luxurious life wealth provides, success, admiration--all strippedfrom him in one moment of madness that resulted in a fifteen-yearsentence in a maximum security prison. Certain that life has gotten asbad as it can get, Starks contrives a way to rise to the top of theinmate hierarchy. But his assumption is wrong. Amid stunningrevelations, betrayals, and violence, Starks faces one challenge afteranother, until a life-altering event forces him into the most brutalconfrontation of all: the truth about himself. Visit our website at clergebooks.com and join our newsletter. Sign up and take advantage of our free book offers, new releases, author interviews, giveaways, and much more. Visit our website at www.clergebooks.com and join our newsletter. Sign up and take advantage of our free books, new releases, author interviews, and much more.